1. James Charles - Welcome Sisters! Gosh, I wish we were siblings for he is so entertaining and talented. I love how well he mixes his sense of humour in his witty comeback to trolls in this video. But I think even beyond the entertainment, James is a pioneer in not only the beauty industry but in society culture. Unashamed to be exactly who he is, finding his own lane and having fun while doing it makes him an inspirational to us all to be ourselves. His wicked sense of humour and general confident persona makes him a YouTube influencer right off the bat. But what's truly influential is Jack's attitude towards his Tourette syndrome. Being honest and open sets an example for the audience that you shouldn't let anyone or anything stop you. She is the makeup artist of makeup artists, I've never seen anyone conceal and bake so well in my life! 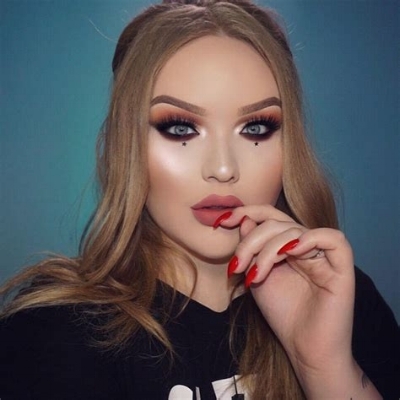 Her engaging and down to Earth personality coupled with her effortless application of makeup in each video makes her a shining example of how real talent and hard work pays off. She is honest in her reviews about products, not afraid to tell you if she thinks a product is sh*t, and I respect her for that! If you want to get better at makeup or just enjoy her beautiful wizardry subscribe to her page! Describing her as animated would be an understatement. Let's just say if we were playing charades I would definitely want to be in her team. For any of you budding comedians out there she is definitely one to watch, A double threat with her witty comebacks and over the top facial expressions, she'll have you in stitches in minutes. Take note! Ok, this is a bit of a cop out answer, but I feel like VICE is a good go to if you're from a range of creative backgrounds in need of a little inspiration. Like, take the following video for example. If you want to be the next Armani, this is your answer, no? !